Photography is now an integral part of our lives; our daily events are recorded whether they be monumental or mundane. From its beginnings in the 1830s, photography was used to chronicle the events of war. Early photographers struggled to capture the rapid action of combat as photographic equipment was unable to record movement. Consequently, early images of war were often staged recreations of the actual campaign. Generally, they depicted the less active aspects of war, such as portraits of soldiers, camp life, fortifications, artillery placements, and the battle sites before and after the action. 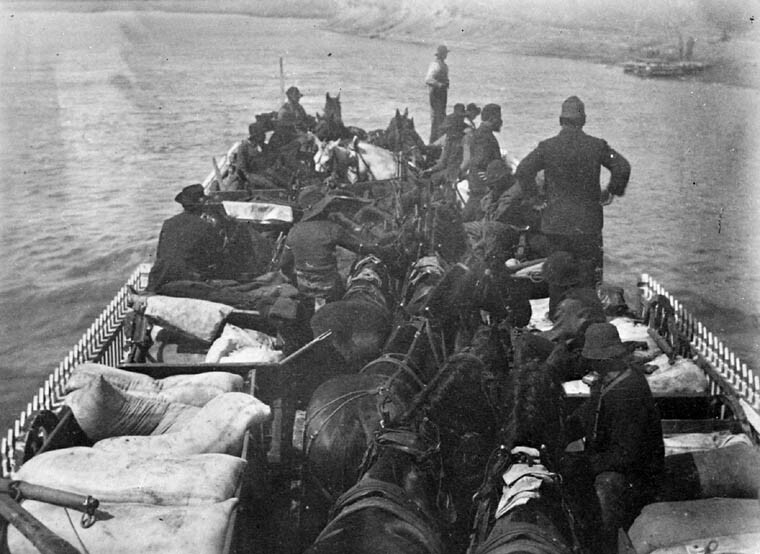 Captain James Peters recorded the dramatic events of the North-West Resistance as a photographer and a correspondent for the Quebec Morning Chronicle. 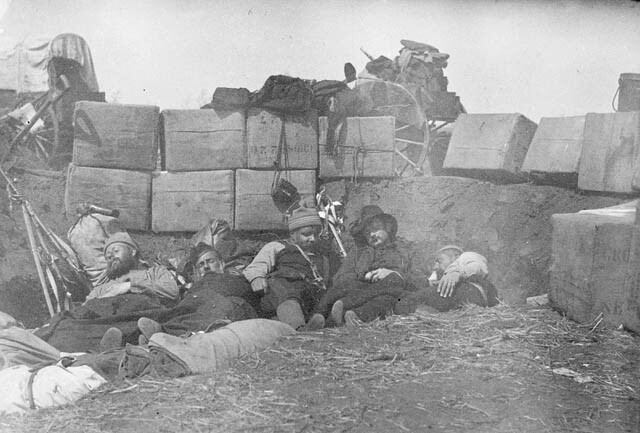 The North-West Resistance was a five-month insurgency against the Canadian government, fought mainly by citizens of the Métis Nation and their First Nations allies. Peters was a pioneer in capturing the events on the battlefield. Captain Peters and the “A” Battery of the Canadian Artillery left Quebec City on March 28, 1885 for the northwest. The “A” Battery was to provide artillery support for Major-General Frederick D. Middleton and the Canadian Militia. 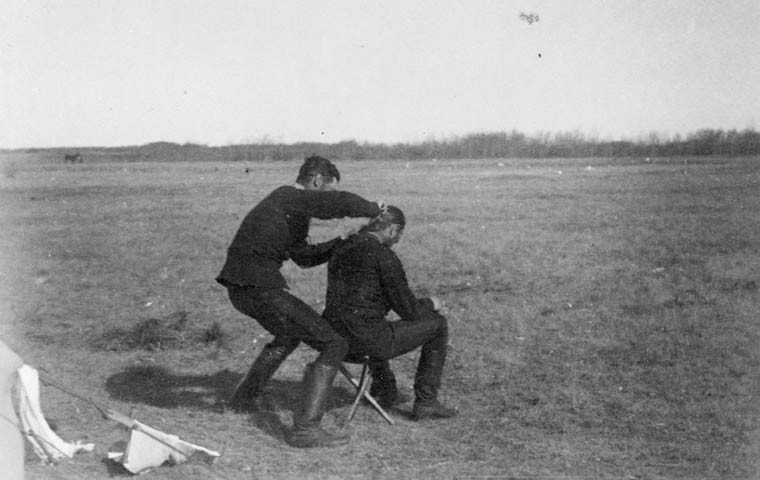 Peters would serve with Middleton at Fish Creek, Batoche and during the militia’s search for Mistahimaskwa (Big Bear). Being a member of what was probably Canada’s first camera club in Quebec City, Peters brought his camera with him to record events. His Marion Academy twin-lens reflex camera was state-of-the-art for the day. Equipped with a relatively high shutter speed, a tripod was unnecessary. The 12 glass plates (negatives) could be loaded in advance, permitting the photographer to “snap” shots with more spontaneity. Captain Peters’ battlefield photographs provide a glimpse into the lives of the militia. 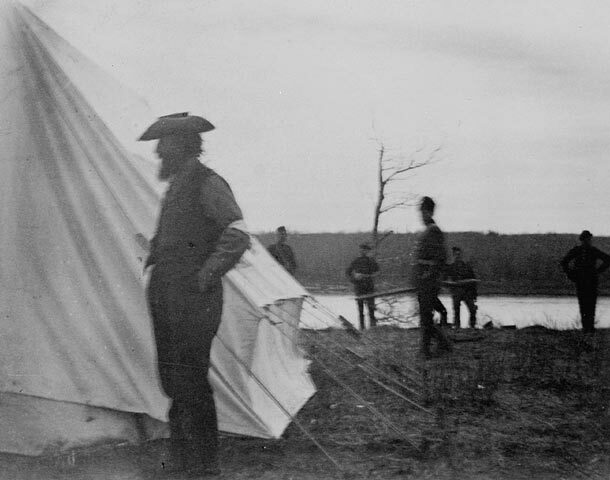 Probably the most familiar of the photographs by Peters is the profile of Louis Riel standing outside the prisoner’s tent when he was held captive at Batoche. With rare exception, James Peters’ photographs of the Métis are limited to fleeting images, taken hastily and from great distances. Captain Peters did not attempt to develop his photographs in the field. Bringing the printing equipment would have been too cumbersome and time consuming. The exposed negatives were loaded in a cartridge box and sent to Quebec City to be developed and printed. Peters destroyed his negatives when he retired from the military in 1906. 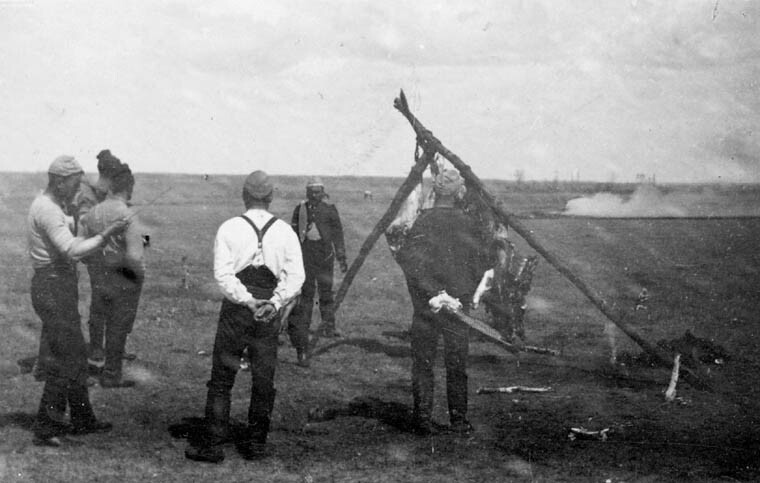 This entry was posted in Indigenous Resources, Photography and tagged Aboriginal, Batoche (Saskatchewan), Fish Creek (Saskatchewan), Major-General Frederick D. Middleton, Métis Nation, Mistahimaskwa (Big Bear), North-West Rebellion of 1885, North-West Resistance of 1885, Photography, Saskatchewan by Library and Archives Canada Blog. Bookmark the permalink.